The festival runs May 7 – 14 throughout the Atlantic region and the gala is May 14 at the Alderney Landing Theatre in Dartmouth, Nova Scotia. The festival guide can also be found in the latest Atlantic Publishers Marketing Association reading guide, Atlantic Books for the Spring and Summer. Gregory M. W. Kennedy presents Something of a Peasant Paradise? : Comparing Rural Societies in Acadie and the Loudunais, 1604-1755 – nominated for the Democracy 250 Atlantic Book Award for Historical Writing. Join Chef Mark McCrowe for a book signing and try samples of the recipes featured in his cookbook Island Kitchen: An Ode to Newfoundland – nominated for the APMA Best Atlantic-Published Book Award. Michael Pittman (Wow Wow and Haw Haw – nominated for Lillian Shepherd Memorial Award for Excellence in Illustration) explores the art of illustration with local students. Join Andy Jones for story time as he reads from his children’s book Jack, the King of Ashes – nominated for the Ann Connor Brimer Award for Children’s Literature. Jenny Higgins presents Perished – nominated for the Democracy 250 Atlantic Book Award for Historical Writing. 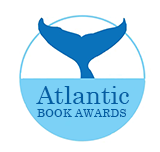 Adrian Tanner presents Bringing Home Animals – nominated for the Atlantic Book Award for Scholarly Writing. Panel Discussion with Trudy Morgan-Cole (A Sudden Sun — nominated for the APMA Best Atlantic-Published Book Award) and Janet McNaughton (Dear Canada: Flame and Ashes — nominated for the Ann Connor Brimer Award for Children’s Literature). Megan Gail Coles reads from Eating Habits of the Chronically Lonesome — nominated for the Margaret & John Savage First Book Award. Richard Starr presents Equal as Citizens: The Tumultuous and Troubled History of a Great Canadian Idea – nominated for the Atlantic Book Award for Scholarly Writing. Denise Adams presents Atlantic Coastal Gardening — nominated for the Atlantic Publishers Marketing Association Best Atlantic-Published Book Award. Lindsay Ruck reads from Winds of Change: The Life and Legacy of Calvin W. Ruck — nominated for the Dartmouth Book Award for Non-Fiction in memory of Robbie Robertson. John Paris Jr. reads from They Called Me Chocolate Rocket: The Life and Times of John Paris Jr., Hockey’s First Black Professional Coach — nominated for the Democracy 250 Atlantic Book Award for Historical Writing. Natalie Meisner signs copies of her book Double Pregnant: Two Lesbians Make a Family. Join us for the launch party of Carol McDougall’s Wake the Stone Man — winner of the 2013 Beacon Award for Social Justice Literature and published by Roseway Publishing. Darren Greer reads from his novel Just Beneath My Skin – nominated for the Jim Connors Dartmouth Book Award for Fiction. Nancy Rose presents The Secret Life of Squirrels to local students — nominated for the Lillian Shepherd Memorial Award for Excellence in Illustration. Vivien Shotwell reads from her debut novel Vienna Nocturne — nominated for the Margaret and John Savage First Book Award. Presentations by nominees for the Dartmouth Book Award for Non-Fiction in memory of Robbie Robertson. Robert Ashe and John Paris Jr. present They Called Me Chocolate Rocket: The Life and Times of John Paris Jr., Hockey’s First Black Professional Coach to local youth. Linden MacIntyre reads from Punishment — nominated for the Jim Connors Dartmouth Book Award for Fiction. Linda Little reads from her novel Grist — nominated for the Jim Connors Dartmouth Book Award for Fiction. Sydney Smith (Music is for Everyone – nominated for Lillian Shepherd Memorial Award for Excellence in Illustration) explores the art of illustration with local students. Katherine Dewar, author of Those Splendid Girls, shortlisted for the Atlantic Book Award for Scholarly Writing, will speak on the “The Great Silence”: the absence of WW I’s wartime nurses from Canada’s historical narratives. Although they shared in the horrors of the war, their service in faraway battlefields was never considered heroic, and upon returning home, they quietly put their diaries, letters and memories away. But some couldn’t recover their lives. Sharon E. MacKay (The End of the Line, nominated for the Ann Connor Brimer Award for Children’s Literature) reads to local students. A celebration of the book Those Splendid Girls: The Heroic Service of Prince Edward Island Nurses in the Great War, by Katherine Dewar, shortlisted for the Atlantic Book Award for Scholarly Writing. Actors will offer dramatic readings of some of the most vivid passages of the nurses’ stories. Book table and author signing. Light refreshments. All welcome. Opportunity to preview the Museum’s new First World War exhibit. Prince Edward Island Regiment Museum, Queen Charlotte Armoury. Corner of Water and Haviland Streets. Charlottetown.